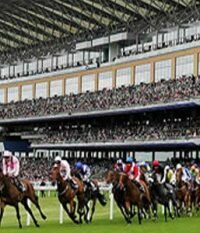 Ascot racecourse – famous for the glamorous Royal Ascot Meeting in June each year, one of the centrepieces of the society-season – had undergone a major transformation during 2005/6. A £200 million re-development project has seen the building of an entire huge, new and vastly improved main stand facility, and the Ascot Racecourse management has taken advantage of this central project to make widespread further improvements to the race-course itself; facilities for horses, riders and owners, and of course the race-goer have all seen substantial up-grading, with a major re-work of the entire facilities, from the car-parks, through the turnstiles, to the entertainment and viewing facilities. As with all major development / build projects, the handover from contractor to client involved a huge quantity of data. Ascot took the decision to investigate options to handle this inflow, and EDMS (electronic document management systems) quickly emerged as “the way to go”. EDMS offers huge advantages, enabling the wide variety of documentation, from architects’ plans and drawings, though large, several hundred page-long manuals, project plans, spreadsheets, schedules etc to e-mails and even their attachments to be securely stored in a single, fully integrated repository. Besides the obvious advantages of significant storage-space savings, EDMS offers rapid access, integration of data, remote-site access, multi-user access, and built-in data-security. Normal back-up and disaster recovery procedures include all documentation automatically, so no longer can an unfortunate fire or flood destroy an organisation’s records. MDT were invited to submit their proposal for dealing with the document mountain Ascot’s redevelopment generated. Following a careful appraisal of the scope and nature of the tasks, MDT demonstrated their onSITE solution. After an exhaustive evaluation process, this proved to be the winning proposal, and MDT were awarded the contract. “We needed a proven system, capable of handling not only a large volume of data, but also a wide variety of document types,” says Ronnie Wilkie, Operations Director of Ascot Racecourse. “The handover from contractor to us, the client, potentially presented us with a significant problem, given the sheer number, diversity and complexity of documents about to shower upon us. However, it also presented a real opportunity; we decided to take positive steps to ensure that not only would the handover of documentation be managed effectively, but we’d use this necessity to ensure long-term advantages, by installing a system that would help us manage the on-going utilisation and maintenance of our entire facilities”.